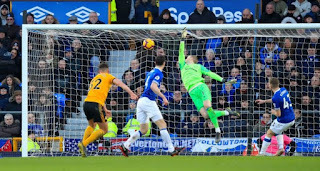 Wolverhampton Wanderers cemented their place in the Premier League’s top seven with a third successive top-flight win as Everton once again conceded from a set-piece. Ruben Neves fired the visitors ahead with a penalty after Leighton Baines had fouled Matt Doherty. 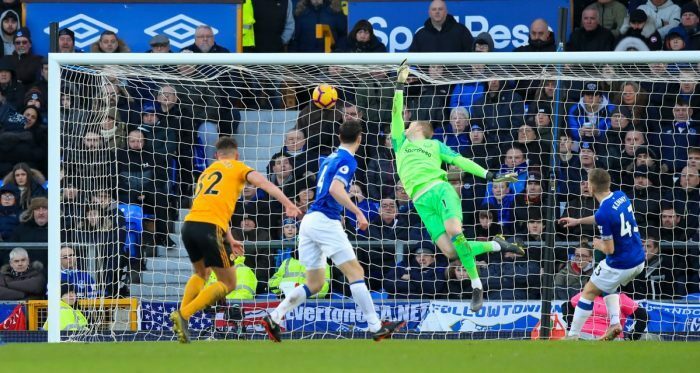 Everton equalised through Andre Gomes, the on-loan Barcelona player, lashing past Rui Patricio before Wolves restored their lead from a free-kick. Raul Jimenez headed home Joao Moutinho’s set-piece before Leander Dendoncker sealed a thoroughly deserved three points with a volley. The game was stopped for around three minutes in the second half to remove a black cat from the pitch.